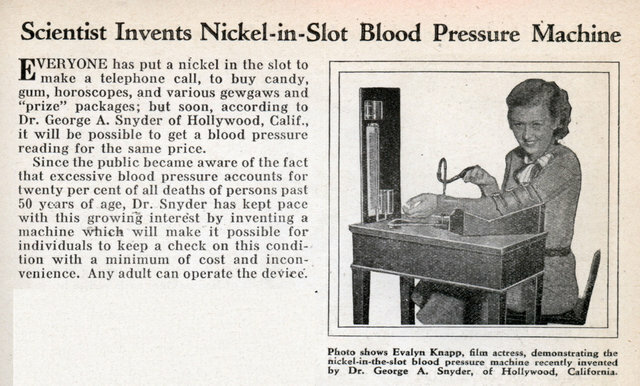 EVERYONE has put a nickel in the slot to make a telephone call, to buy candy, gum, horoscopes, and various gewgaws and “prize” packages; but soon, according to Dr. George A. Snyder of Hollywood, Calif., it will be possible to get a blood pressure reading for the same price. Since the public became aware of the fact that excessive blood pressure accounts for twenty per cent of all deaths of persons past 50 years of age, Dr. Snyder has kept pace with this growing interest by inventing a machine which will make it possible for individuals to keep a check on this condition with a minimum of cost and inconvenience. Any adult can operate the device. 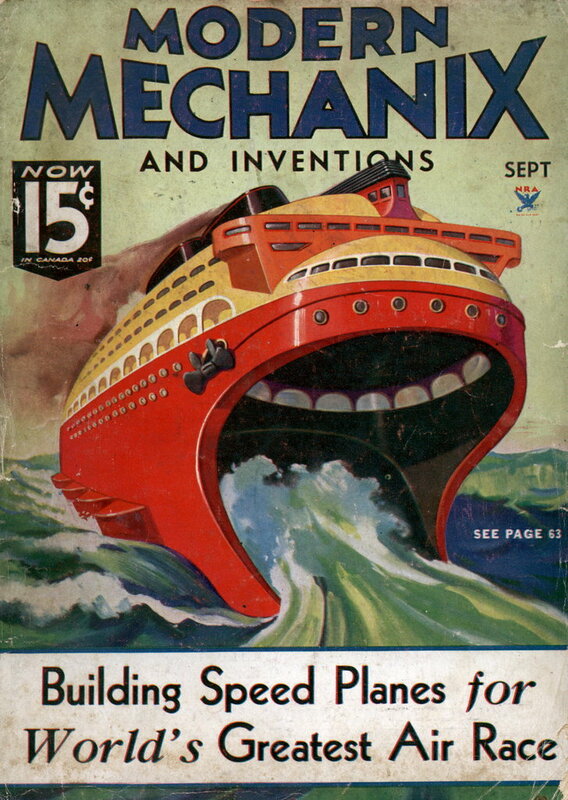 Well, this invention is still around. It’s usually an electronic unit, free in many large drugstores.